Everyone knows what it's like to have their paws covered in Cheetos dust, but for most people the history behind the snack is as ambiguous as the ingredient list. With that in mind, we've compiled a list of 16 factlets that you can think about while you lick your fingers clean after your next bag of Flamin' Hots. As revealed in an inspiring story reported by the Kansas City Star, what began as a spicy hack by a Frito-Lay plant worker has now become one of Frito-Lay's best-selling products. Janitor Richard Montañez talked his way into a meeting with the company's CEO, and armed with just a sample bag and a few nights of marketing studying, put on such an impressive presentation that it vaulted him up the corporate ladder into an executive vice president position. 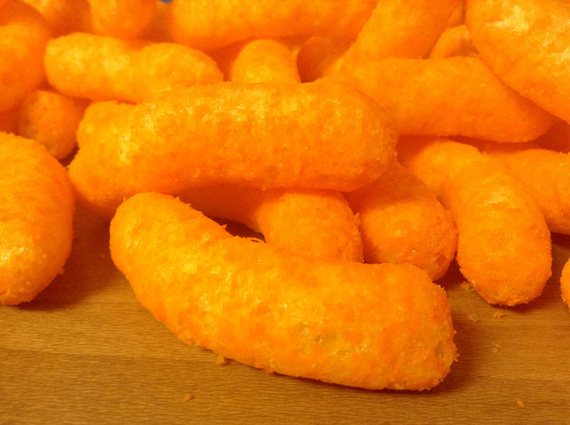 This stat comes straight from Kimberly Scott, the director of communications at PepsiCo, Inc./Frito-Lay North America: a year-long production run requires 11 million gallons of milk, which translates to 10 million pounds of cheddar cheese that's then used in the Cheetos seasoning. 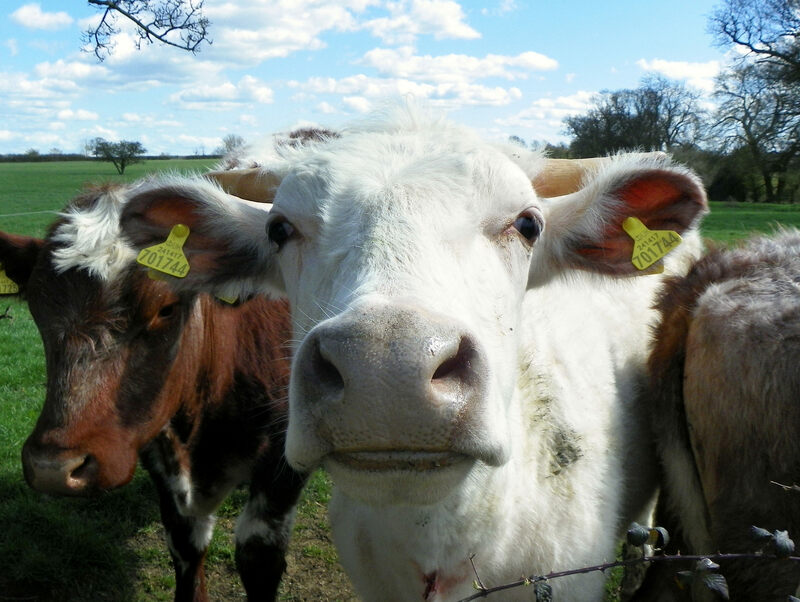 That averages out to an astonishing 2,200 gallons of milk per cow. Hot on the heels of his purchase of the Frito recipe for $100 in 1932 and a successful expansion to five manufacturing plants, Frito company founder C.E. 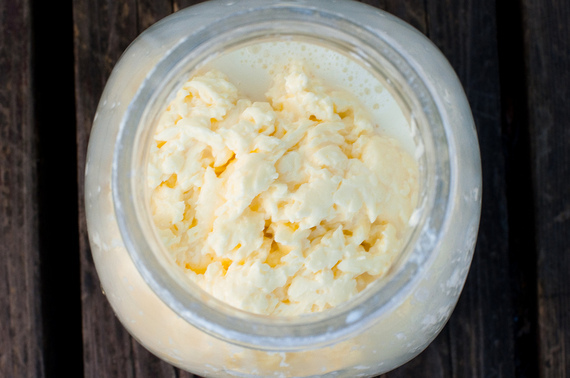 Doolin's next move was to adapt a dairy preservative technique to bring cheese into the world of dried snacks. According to WIRED, Doolin's business acumen wasn't the only reason behind his success: he also owes thanks to the US military, which pioneered research into cheese dehydration to better feed the troops. 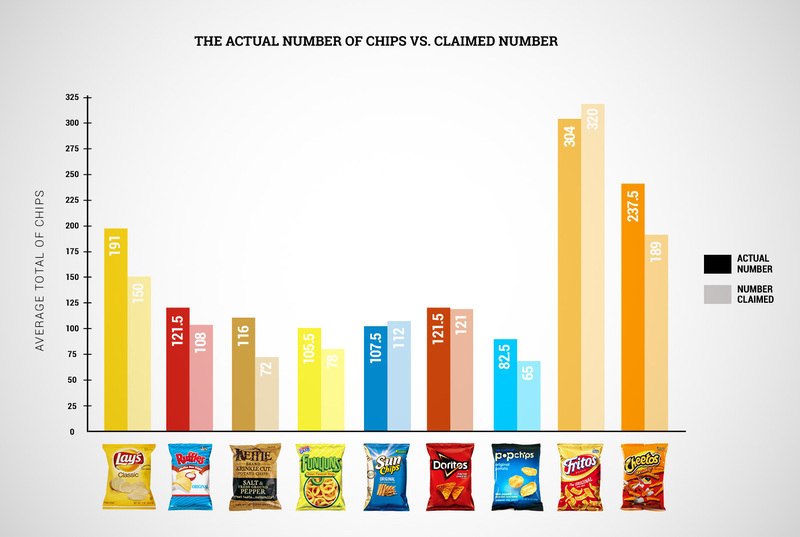 The label on a large bag of crunchy Cheetos lists the contents at 189 chips, but thanks to meticulous investigation it's been proven that a bag actually contains 237.5, meaning Chester is a very generous cat indeed. 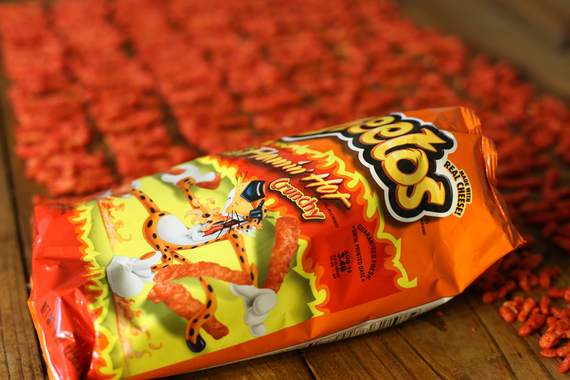 Although they're typically considered an American snack, Cheetos has production facilities in 22 different countries including Cyprus, Pakistan, Spain, and Poland. 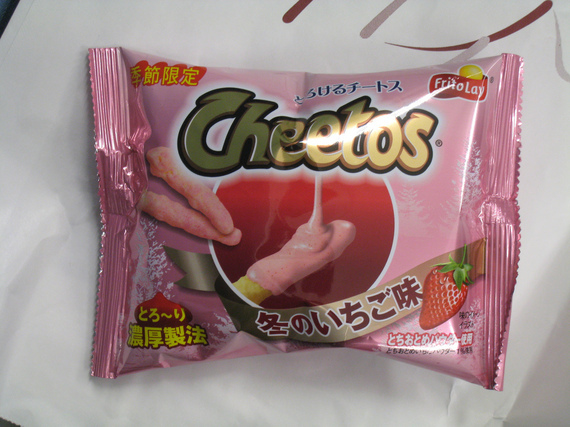 These international outposts produce a wide array of foreign flavors like fizzy Pepsi (Japan), ketchup (Poland), strawberry (Russia), peanut butter covered (Eastern Europe), and Japanese steak, which is strangely sold in China. Before Chester's slick Wayfarers and ferocious snacking appetite became a worldwide marketing campaign, the chip was represented in commercials by a much more demure mascot: a simple, unnamed mouse. The "enriched cornmeal" that's heated and fried to form the base of the Cheeto is then blasted in a complicated cheese seasoning that's not dissimilar to the stuff that comes in the Kraft macaroni and cheese flavor packet. It's comprised of over 12 different ingredients including whey, yellow 6, more enriched cornmeal, vegetable oil, vitamin B, sugar, salt, and MSG. 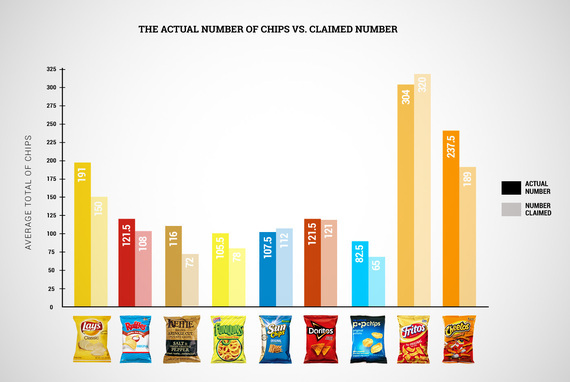 Check out our in-depth snack composition analysis right here to better understand the role of each of these ingredients. 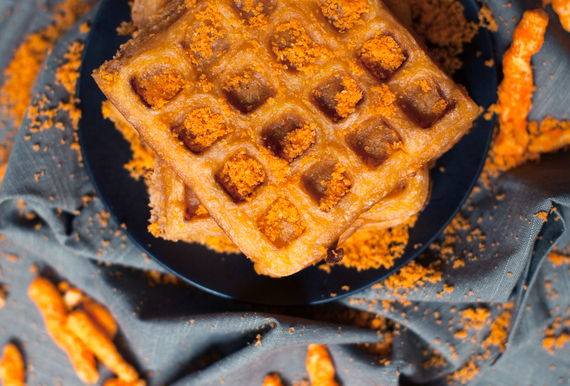 Say goodbye to a balanced breakfast and hello to Cheetos waffles. 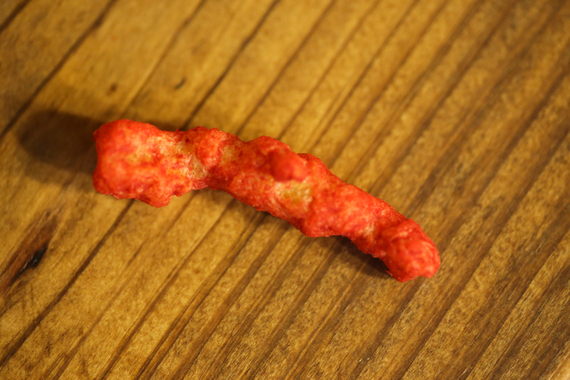 To find out 8 other things you almost definitely didn't know about Cheetos, get the full story at Thrillist.com!